Going Online presents a hopeful view of online teaching. A professor in the NYU Tanden School of Engineering, Ubell seems aware that this position will contradict many professors’ perceptions. “Sitting at desks or moving about, our bodies and minds inhabit the classroom, often with the same ease and familiarity we find at home,” he writes, adding “Most of us assume it’s the ideal learning environment” (33). Going Online makes a case for recognizing the limitations of the face-to-face classroom and reconsidering the pedagogical practices that become possible outside of that setting. The collection might not persuade administrators and faculty whose familiarity with online education has led them to resist its expansion. However, it offers a useful survey of previous research and confronts pervasive misconceptions. These two features make it a valuable resource for sustaining conversations in universities looking to develop online experiential learning. 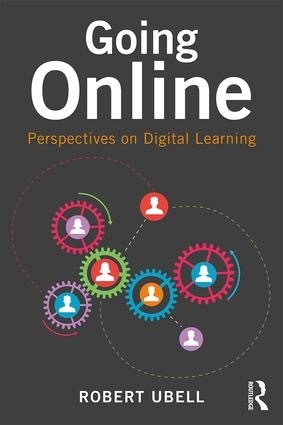 In Chapter 1, “Dewey Goes Online,” Ubell writes, “Virtual education emerges as a workshop in which online students exercise functions essential for scholarship and professional life” (5). The professor’s role changes in an online setting because they “become facilitators, propelling students to engage in discourse through discussion and argument to generate and link ideas.” The move to an online format “often calls upon faculty to become far more engaged than in the classroom” (8). Going Online develops these two ideas – online courses facilitate active and experiential learning, and faculty become more dynamic and effective when teaching online – through theoretical discussion and practical applications. Going Online makes a point to dispel myths and misconceptions about online courses. Far from alienating or isolating students, online discussions unfold over time and provide space for reflection and “room for analysis, critique, and problem-solving” (9). The collection convincingly shows that the quality of online education equals or surpasses that of face-to-face instruction, but Ubell does not address the legitimate fears that can be summarized in one professor’s observation: “Machines have historically been used to increase profits by cutting the labor force” (54). In fact, part of faculty resistance stems from the low status attached to online courses. In “Why Faculty Don’t Want to Teach Online,” Ubell acknowledges that teaching online represents a risk for many untenured faculty. Those who contemplate migrating their courses online must confront the potential suspicion of colleagues. Ubell explores possible concerns such as “Will she be devalued, suspect, even ridiculed?” “Will her career be threatened?” and “Will she be exposed to hostile reactions from her colleagues?” (50). Alternatively, “will she be seen by some as adventurous, a risk-taker, an early adapter, unafraid of challenges?” (51). Going Online does not reassure teachers facing these risks, but this section asks faculty and administrators to confront the ways that prejudice against online education disadvantages those who shoulder those courses out of necessity or curiosity. These questions name problems and assumptions that might otherwise remain submerged in many conversations about program design. Ubell also acknowledges that the history of online education offers cautionary tales. “For years, for-profits dominated online industry” and greed turned many of those schools into “diploma mills” (55). Because of this history, many faculty at private and public universities fear that embracing online education means their institutions “will fall into the same contemptible void” (55). 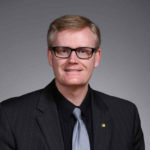 Ubell asks faculty to reframe this debate over online teaching: “the battle is not fought between brick-and-mortar and new digital space, but between old and new ways of teaching – between wise, old talking heads at the blackboard versus new approaches that encourage interaction among students and instructor” (55). However, learning to view the shift online in these terms is unlikely to satisfy the concerns of junior or contingent faculty worried about their status in the university; it will also do little to satisfy established faculty worried about how online programs will affect the status of their university. Ubell does not always take faculty objections to online teaching as seriously as I believe those objections merit, potentially limiting the reach and effectiveness of the collection. Online courses are certainly more accessible to many students, and Mayadas asks readers to consider whether they may be more equitable too. For example, “Are women – who now make up a far greater proportion of students online than men – more likely to participate actively than in conventional male-dominated classrooms? What about the effectiveness of online learning for black, Hispanic, and other underrepresented students”? (69). Going Online does not elaborate on this point or explore these questions. Future researchers may want to take up this “next – and far more difficult – phase of quantifying the value of online learning” (69). As an early-career academic with experience designing and teaching online courses in rhetoric, composition, and literature, I recognized many of the advantages and pleasures that Ubell describes. In my experience, discussions that unfold online rather than in the classroom include more students and encourage careful thought rather than quick opinions. Often, online students who are geographically dispersed and working according to their own schedules are even more engaged than face-to-face students who display “eagerness, attention, and alertness” but “may just be performing according to conventional classroom rules” (48). Humanities teachers will likely bristle at some of Ubell’s descriptions of the face-to-face classroom, though. I share Ubell’s enthusiasm for online teaching and creative disruption, but I wondered if his dismissal of the conventional classroom as “artificial, often a space for listening, rarely open to practice and reflection,” reflects his experience in large lecture courses and the discipline of engineering (4-5). Many professors in the humanities build both online and face-to-face courses around critical reflection, active and peer-to-peer learning, and ethical argument. 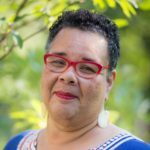 We would dispute the claim that “nothing has changed since Victorian times when classrooms and factories were built with pretty much the same purpose – for a docile workforce” (45). While this description runs counter to the experiences of many teachers, Ubell’s image of online courses will encourage readers who hope this growing form of education maintains the joy and rigor that propels our work. This short, easy-to-read book may inspire academic administrators to set up one-on-one relationships between teachers with the goal of increasing effective technology use within classroom settings. The book may not translate directly to those teaching in theological education because it is drawn from the authors’ experiences in K-12 teacher education graduate programs. Its focus is on technology integration in elementary, and secondary contexts and teacher education, even though marketing copy on the back cover might indicate otherwise. Frequent clichés and repetitive text are also distracting. A major conceptual problem in this book is the use of the idea of “digital immigrants.” In the first chapter, Alaniz and Wilson describe current students who have grown up with the Internet as “digital natives.” Their parents’ generation, who did not grow up with the Internet, is one of “digital immigrants.” This generational understanding of technology adoption does not advance the aims of the book. Technology integration in the classroom requires skill in both technology and pedagogy. Generational age is not a good indicator for teachers’ capabilities in these areas. In the last chapter, the authors attempt to nuance the generational understanding, but it is too little, too late. Despite these problems, the book presents an appealing method of collegial coaching for improved technology integration in teaching. Alaniz and Wilson ground their methodology in education research on the value of collaboration and conclude the book with testimonial evidence of the effectiveness of collegial coaching. The heart of the book is a recipe for setting up a coaching program, supplemented by brief examples from graduate students who implemented programs in primary and secondary contexts. The steps for setting up this sort of program seem well-considered and backed by practical experience. While Alaniz and Wilson might have devoted more attention to intercultural issues in coaching relationships, they offer many helpful suggestions for considerations in selecting participants and structuring relationships. Shifting from one-size-fits-all workshop sessions on technology to more focused coaching on technology integration is a strategy that may benefit all levels of education, not just the primary and secondary levels. Theological educators could have ongoing structured peer relationships that focus on integrating technology and educational resources into a classroom setting. Educational technologists and librarians in theological settings might utilize principles of coaching to help faculty utilize their resources in the classroom. It would be interesting to see this recipe for collegial coaching adapted to a theological education context, with greater sensitivity to intercultural dynamics in the academy and more nuance about generational facility with technology. With noted cautions, this book is recommended for educators, particularly educational technologists, librarians, and deans, who might use insights from a peer coaching model to help faculty better use technology.